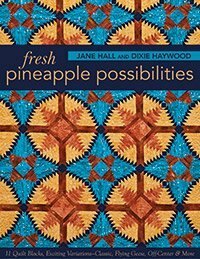 Award-winning quilters Jane Hall and Dixie Haywood have been making quilts with the Pineapple Log Cabin block for decades. Now you can use their secrets to create your own perfect pineapple quilts. Learn to use foundation piecing to sew perfectly accurate blocks. 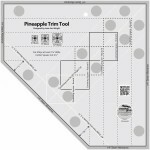 Play with colors and block layouts to design your own vibrant pineapple designs. Feast your eyes on quilts that use the 10 different blocks in exciting new ways.